Acquavella Galleries is pleased to present Dubuffet | Barceló, an exhibition of paintings by French postwar painter Jean Dubuffet and acclaimed Spanish artist Miquel Barceló, on view from June 30 to September 19, 2014. The exhibition will feature distinct bodies of work from each artist - several of Barceló's recent white paintings and dark bleach portraits will be shown alongside a selection of Dubuffet's landscapes and portraits. 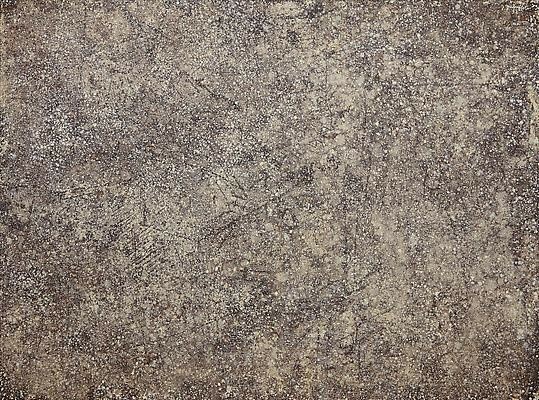 Since he was a teenager, Barceló has been drawn to Dubuffet's poetic writings and unconventional aesthetic. In juxtaposing portraits and landscapes by both artists, this exhibition aims to highlight their thematic and material affinities.